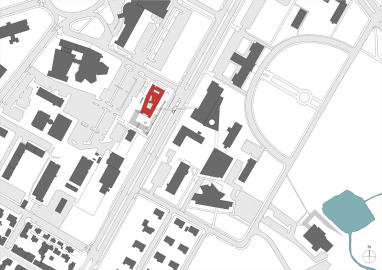 Veröld – The Vigdis Finnbogadóttir Institute of Foreign Languages, houses all facilities of the University of Iceland relating to research and teaching of all languages foreigh to Icelandic. 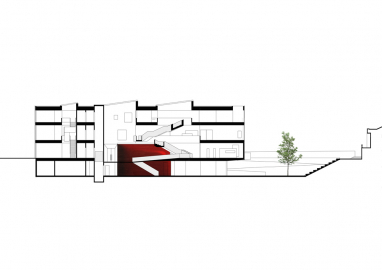 In designing the building, the architects sought to reflect Ms. Finnbogadottir´s views and values with regard to culture, history, communication and respect, in the broadest sense. 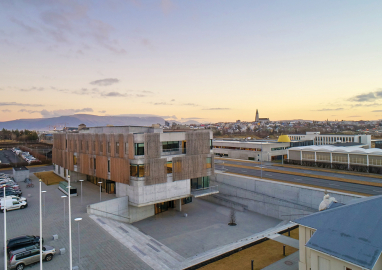 The Veröld building interacts across the piazza with the old Telegraph Office, which in former times played a crucial role in Iceland’s communication with the outside world. Today the Vigdís Finnbogadóttir Institute is the torch-bearer – an international centre of language, and at the same time a pioneer of culture. 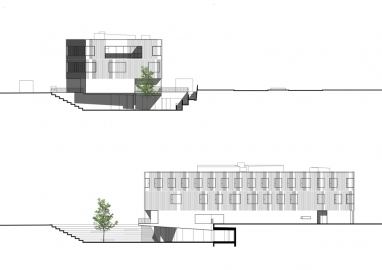 By lowering the ground level at the south of building to form a piazza, the building takes account of the immediate surroundings, while also creating a clear and natural connection with the Háskólatorg centre, and in the future with further buildings on the campus. Internal communiction and connection plays a big part. 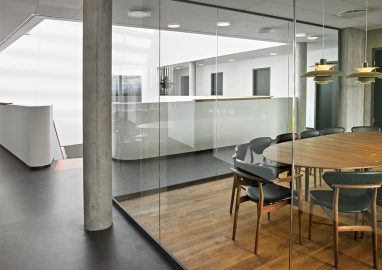 All the major aspects of the manifold activities to be housed there are focused on an open space, Miðjan, which effectively accesses all levels and all departments – brings us closer to each other, brings us together, to quote Ms. Finnbogadottir herself. Thus in the end it has proved possible to integrate all the demanding roles required of the languages centre. 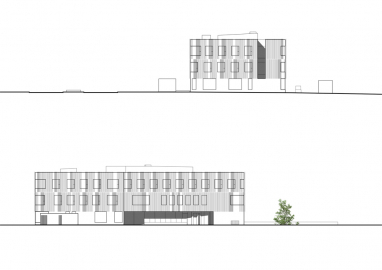 The building stands in a prominent location on the University campus, and makes an impression from Suðurgata, in its striking position on the corner of Brynjólfsgata, and facing equally in all directions. 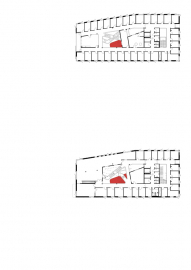 Like any good neighbour, the building shows consideration for its surroundings, by reducing its impact: much of the activity is concentrated on the ground floor facing the new piazza to the south. On the piazza is a single birch tree, a representative of the Friendship Forest at Þingvellir, selected by Ms. Finnbogadottir. 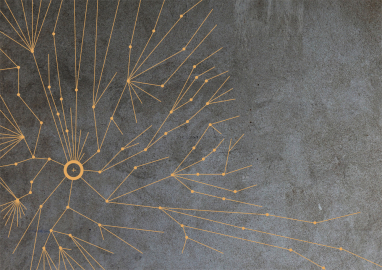 Around the Friendship Tree is a work of art, set into the terrazzo floor of the piazza pavement, representing branches splitting into ever-smaller tendrils – a symbol of the history of language. Internal links are achieved inter alia by utilising the large central space for visual and intangible connections. Stairs and bridges provide connections, just as the gaps between cultures are bridged by language. 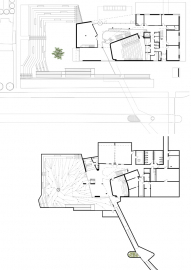 The design is grounded in principles of sustainability and an environmentally-friendly methodology, in keeping with the University of Iceland’s environment policy – and special attention has been paid to accessibility for all, with all-round design. 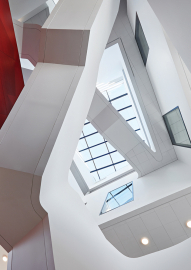 The entire design process has been based upon the building meeting standards for BREEAM certification “Very Good”. 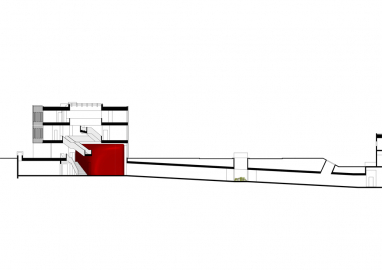 The design implemented strict cost controls, in order to ensure that the total construction costs would be moderate, and to ensure efficient operation. Bear in mind, the building was designed and built in the years after the collapse of the Icelandic banks and Economy. 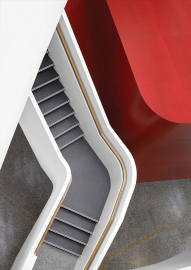 Exterior walls of raw concrete, together with pillars and terrazzo floors and stairs, are striking features along with the red auditorium and white flying staircase. 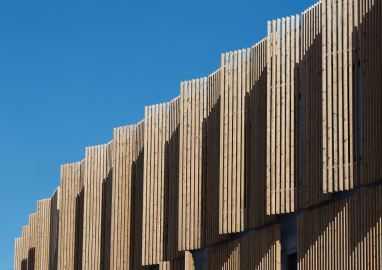 The exterior of the building is clad in staves of larch, which will grey naturally over time; much of the larch was sourced from Icelandic commercial woods, bearing in mind that Ms. Finnbogadóttir is a patron of Icelandic Forestry Association.